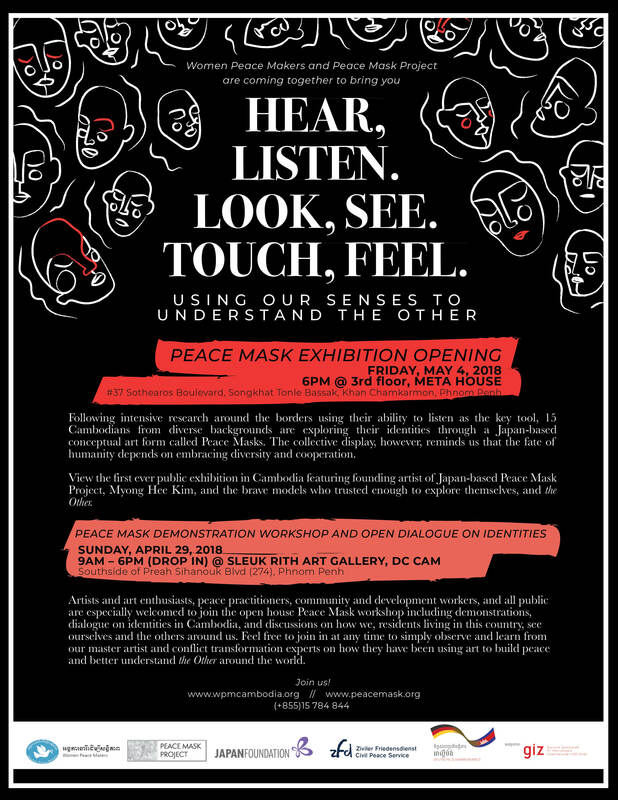 In collaboration with Cambodia-based NGO Women Peace Makers, Peace Mask Project is honored to be invited to make 15 Peace Masks of Cambodians from diverse backgrounds at the end of April, 2018 (please see attached poster for details). 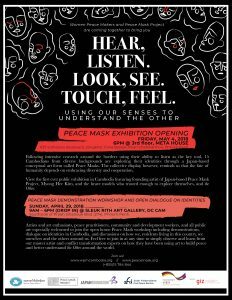 Artists and art enthusiasts, peace practitioners, community and development workers, and all public are especially welcomed to join the open house Peace Mask workshop, including demonstrations, dialogue on identities in Cambodia, and discussions on how we see ourselves and the others around us. Feel free to join at any time to simply observe and learn from our master artist Myong Hee Kim, and conflict transformation experts on how they have been using art to build peace and better understand the Other around the world.